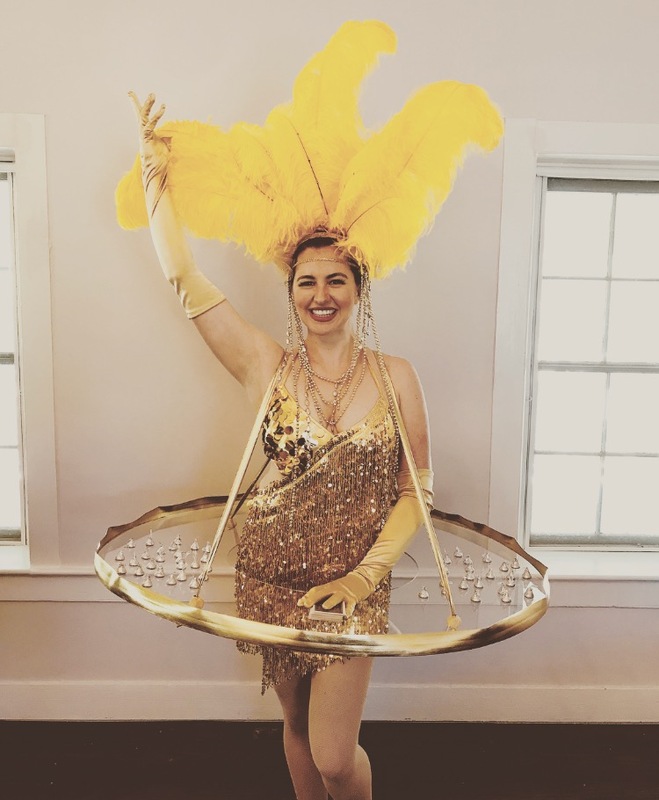 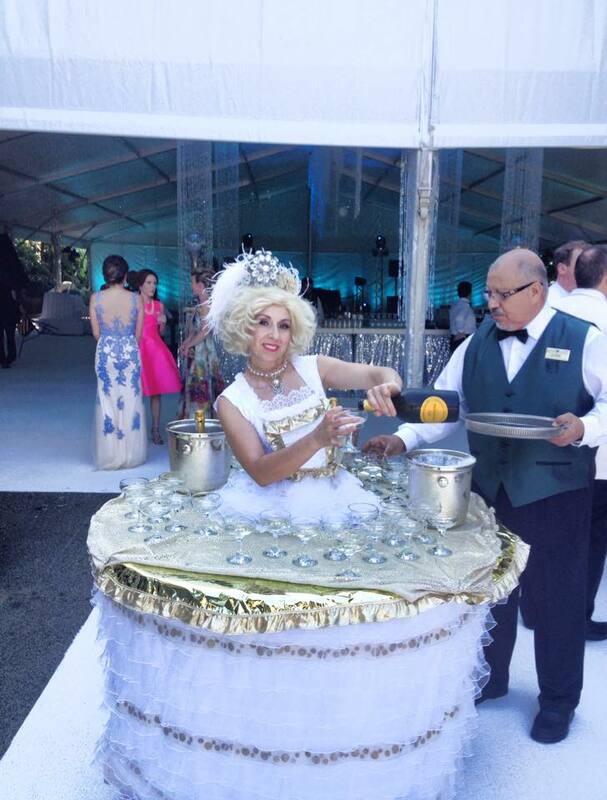 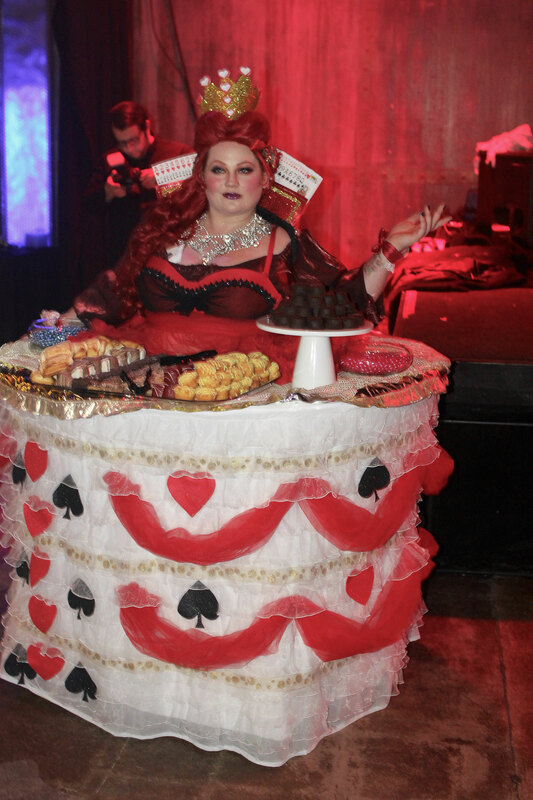 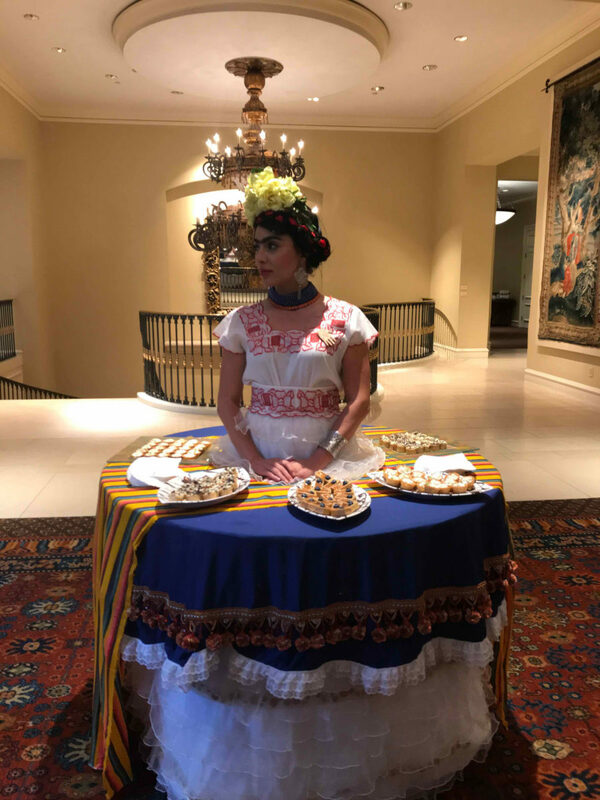 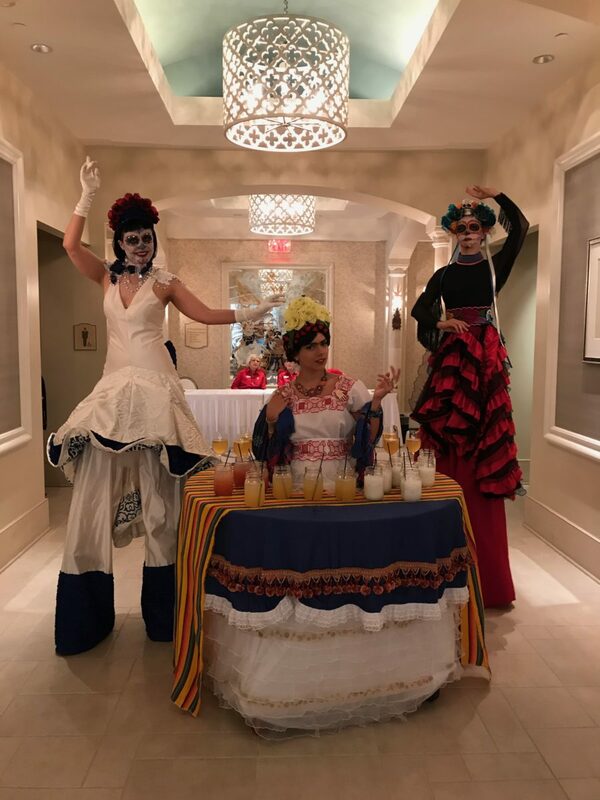 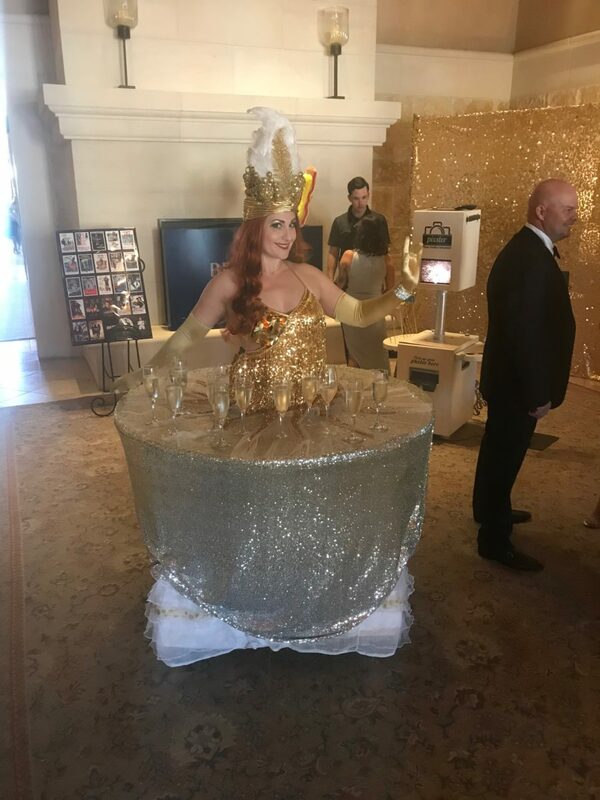 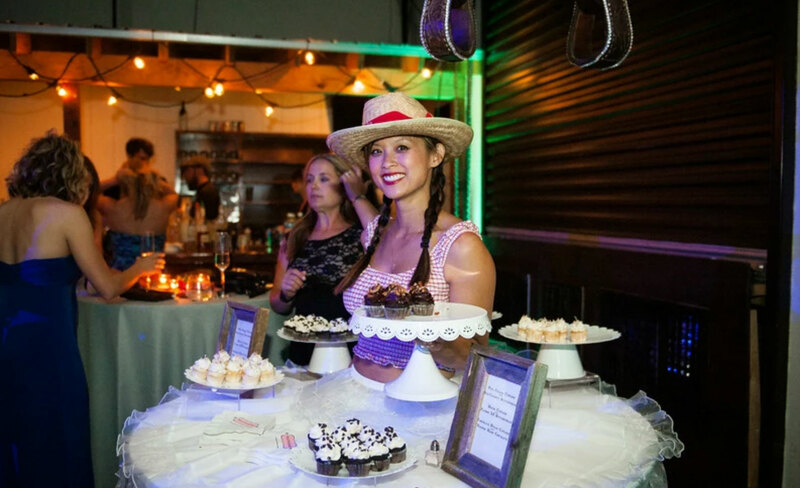 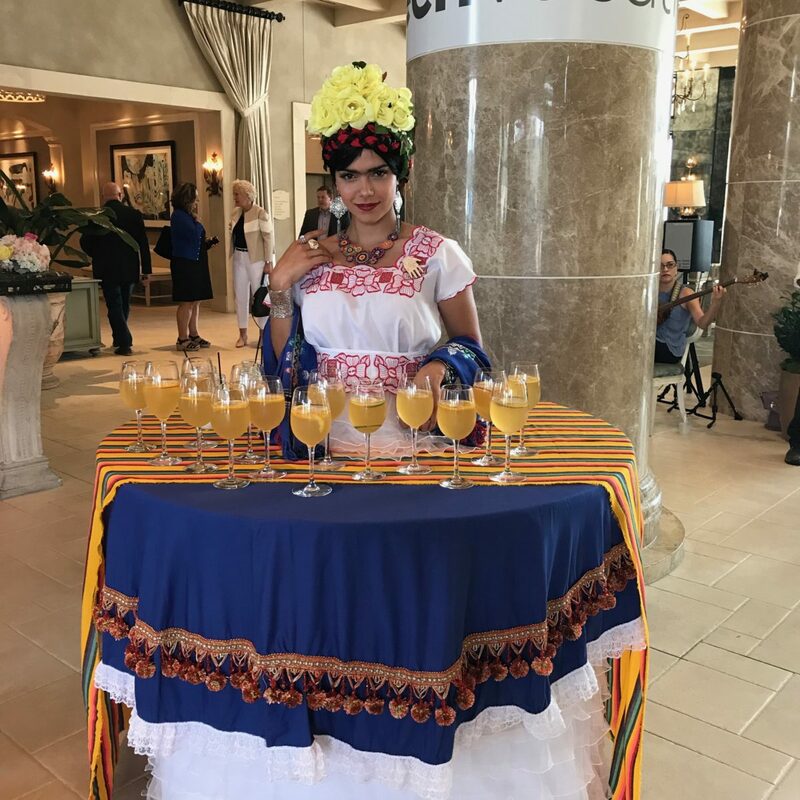 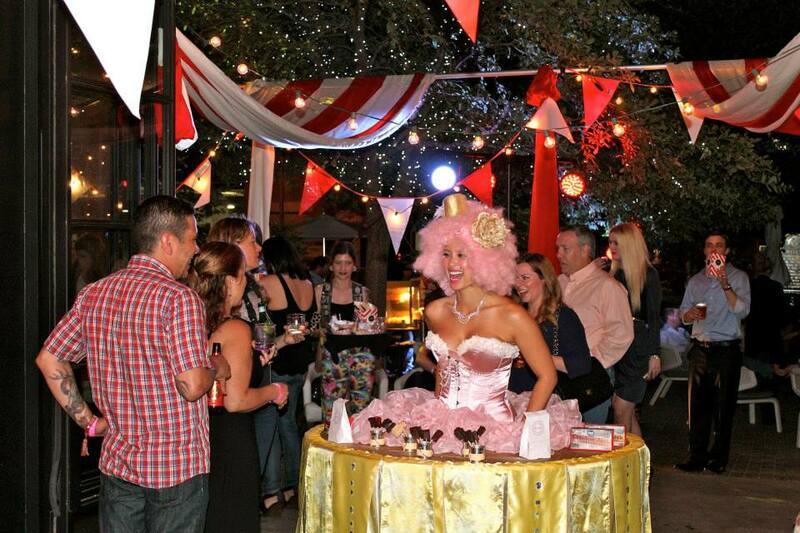 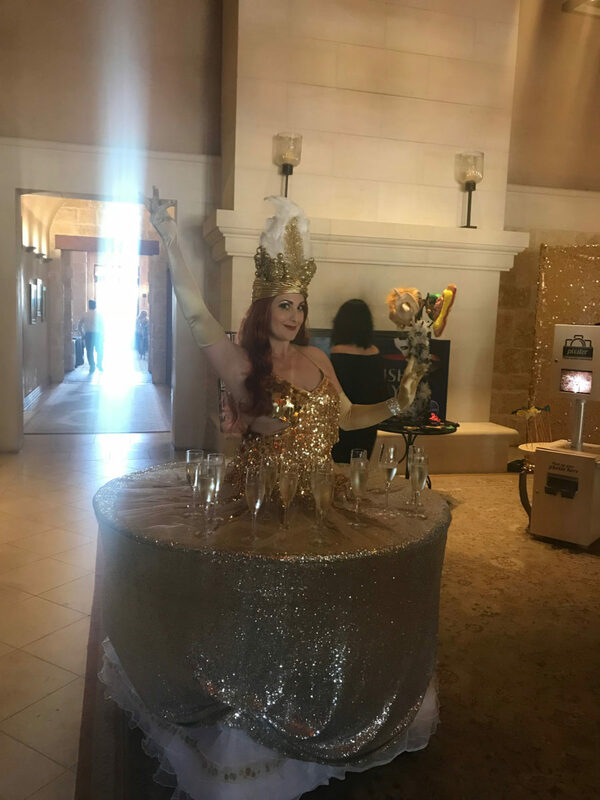 A costume that acts as a portable table, a lovely performer mingles with the crowd passing out glasses of champagne and hors d’ourves in an unusual and unforgettable way. 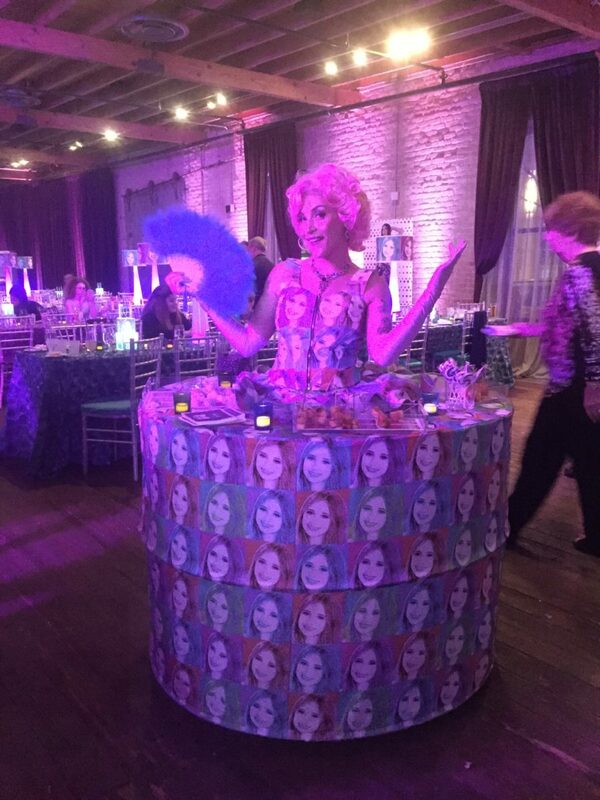 Interactive and fun, living tables carry more than food and drinks to your guests; they are decor and entertainment all in one! 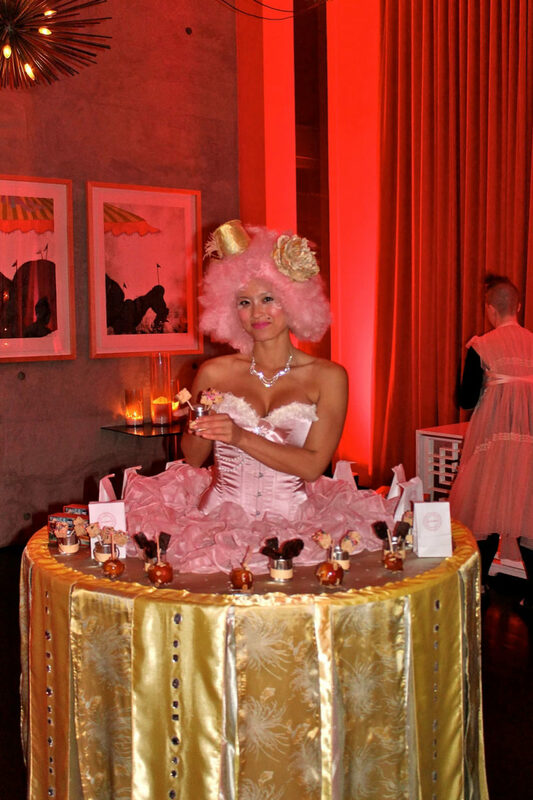 It’s a fantastic bang-for-your-buck and an unforgettable guest favorite!